Curb-appeal PLUS sits on quiet cul-de-sac lot/GATED community. PEACHTREE RIDGE CLUSTER-TOP SCHOOLS! 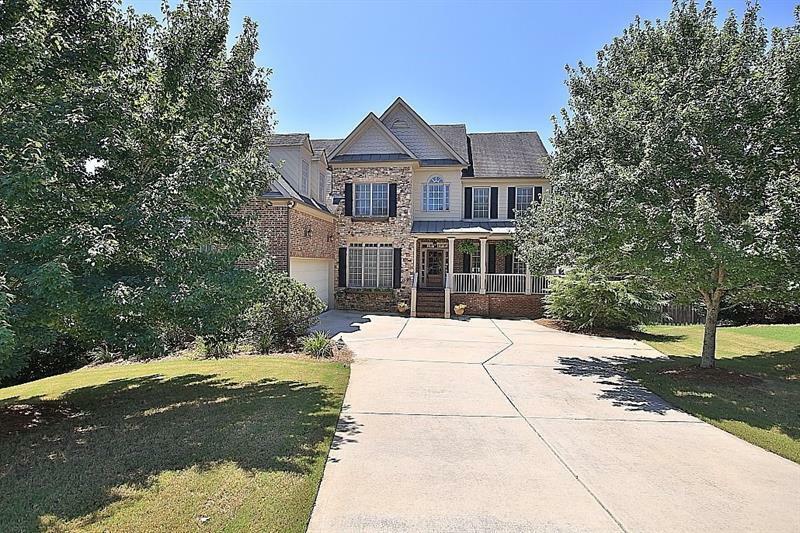 Solid brick & stone w/side entry garage and multiple outside living spaces-wrap-around front porch & back/side deck-enjoy the tranquility. Impressive 2-story stone to ceiling fireplace. Office/library/bedroom (you decide) with custom built-ins on main. Open concept kitchen has island & full view of family. Owner's retreat & spa bath w/frameless walk-in shower & dual vanities. Terrace level offers awesome Theater Room, game room w/wet bar, workout+more! THIS IS A MUST SEE!